As always, these are the “Highlights from a Grandmother’s point of view.” No app enhanced toys, no drones, no violent themes and few batteries. 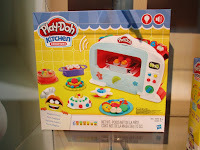 There are some noteworthy items with those features but we’ll leave those to the parents and grandchildren to discover. 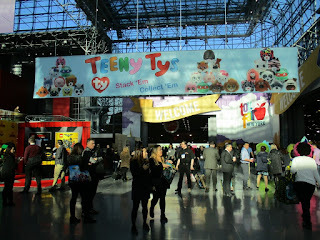 The pictures are all my own from the displays I saw – no stock photos here – just the real thing. For some of the items not out yet, this may be a prototype and the final may differ a little. So there are all the caveats – let’s get on with the highlights. 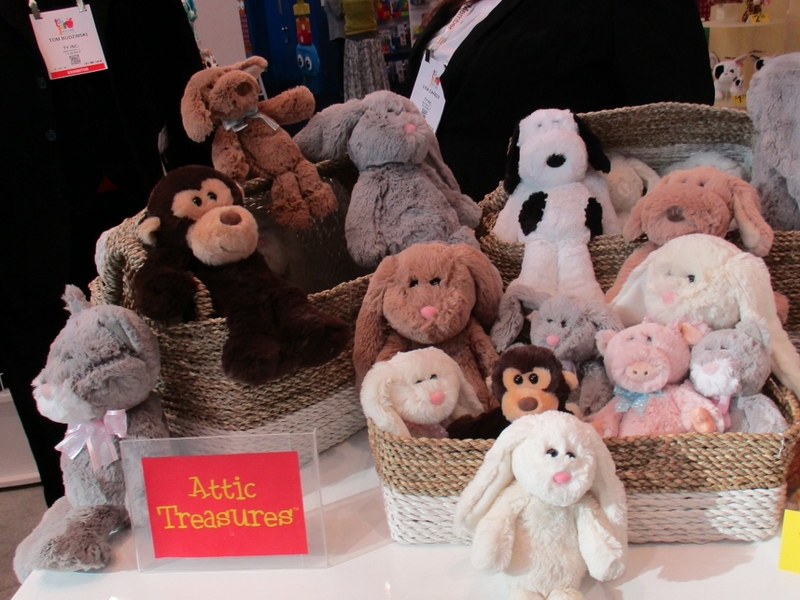 We all remember beanie babies and you may even still have some, but another beloved Ty line was Attic Treasures which ran 1993-2003. There are still lots of Attic Treasures collectors and they will be excited to learn that these new items will be introduced in June 2017. 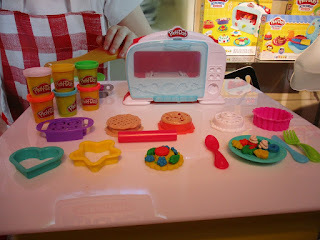 Toys that are fun and provide learning opportunities are always my favorites. Educational Insights specializes in this combination and I always find interesting products at their Toy Fair booth. 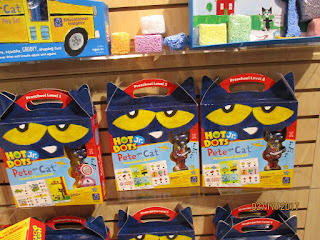 This year I toured the booth with two educators from Mommy University and they were so excited about this new Hot Dots item that I just had to learn more about Hot Dots. Every Pre-K to First grade child loves Pete the Cat. This set has a magic pen (OK it does take AAA batteries) which will let you know if you chose the right answer. 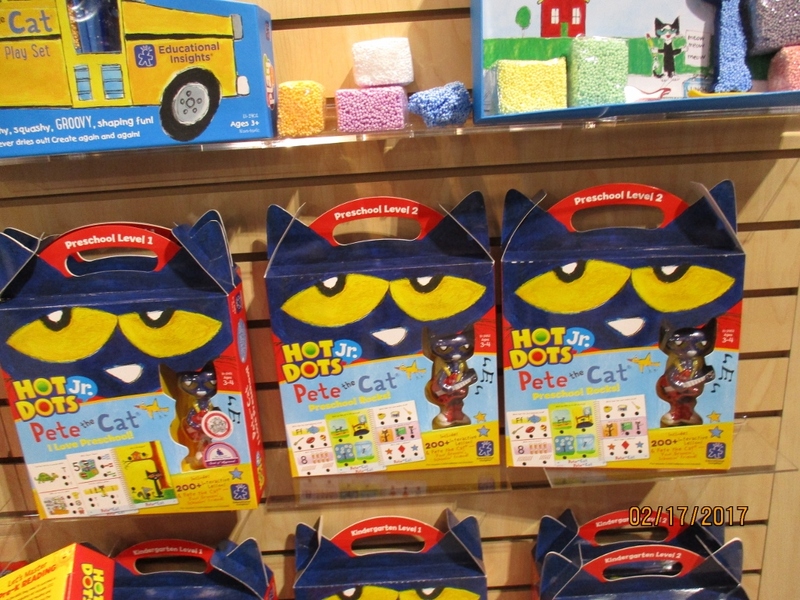 A Pete the Cat card set, stickers, magic pen and before you know it a pre-schooler is learning reading, math, science, and social studies skills. This item is a winner of the Parents' Choice Approved Award. 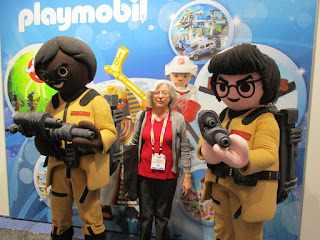 Playmobil sets are such high quality and provide wonderful, imaginative play. For the first time, playmobil will be featuring sets with licensed characters and the first one is Ghostbusters. 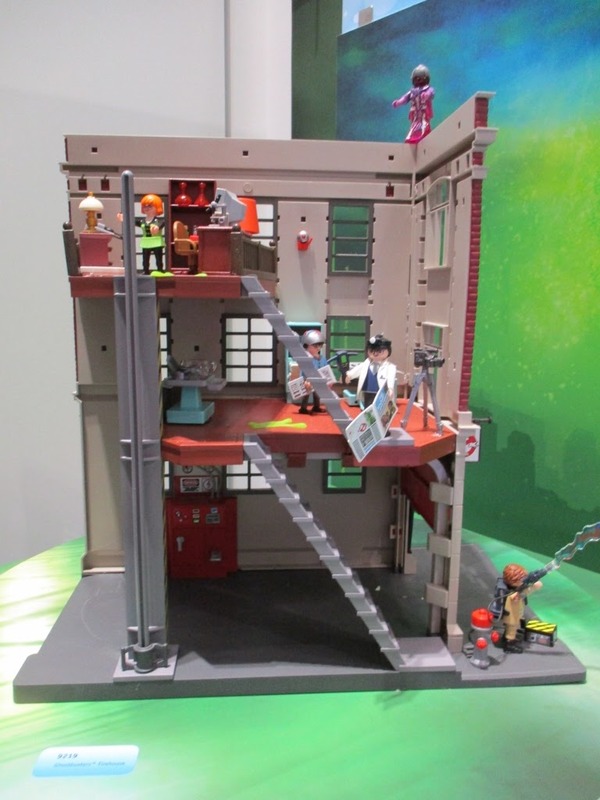 The playsets have loads of details and accessories and will be available in May. These advance prototypes look like this is going to be a winner. And so of course I couldn’t resist having my picture taken with the Ghostbusters…. 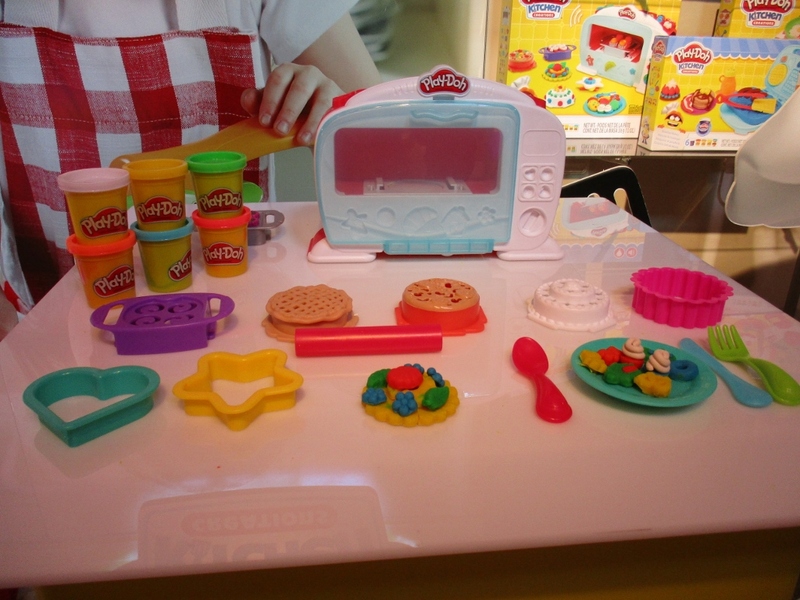 There is a new PLAY-DOH culinary collection which I was very impressed with. 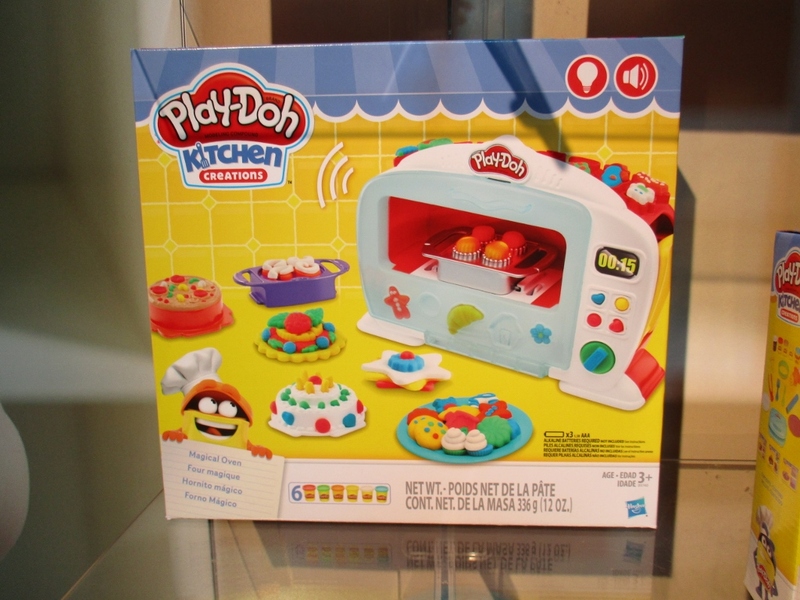 Preschoolers love PLAY-DOH play sets and I think the kitchen collection will be a winner. Yes, they use batteries but only to add life like qualities. The oven lights go on and the muffins will rise – not by cooking but by pushing the lever on the side of the oven. I saw the demo and it is very cute. This set will be available in the Fall. 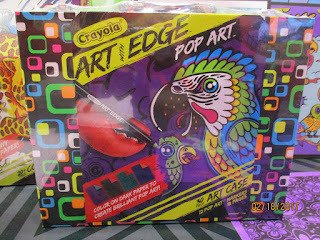 Crayola launched its Art with Edge line in the Fall of 2016 aimed at Tweens and Teens and will expand it in 2017 as the coloring craze continues. It is a line of wacky, wild coloring pages. 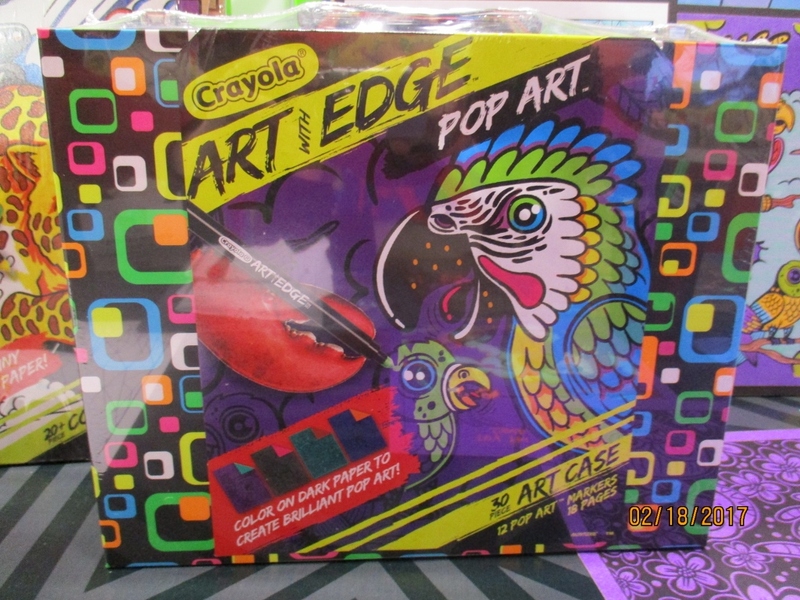 This new set called “Pop Art” features art printed on dark paper that “pops” in bright colors when colored with Pop Art colored markers. I thought these made beautiful finished products and should be a nice gift for the “difficult to buy for” age group. They will be available in June 2017 and make a great summer activity. 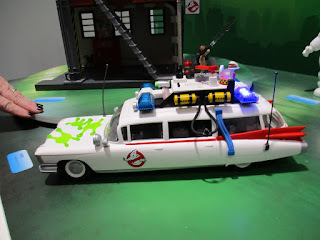 I will be featuring other LEGO sets in my building sets Highlights posts but I had to include this one here. 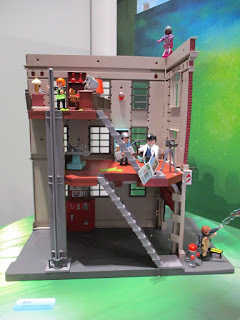 This set is in the LEGO IDEAS line of building sets suggested by LEGO fans. When I checked it out on Amazon it had a 5 star rating out of 295 reviews. You just don’t see that. If you are introducing Beatles music to your grandchildren you may love working on building this together with them. 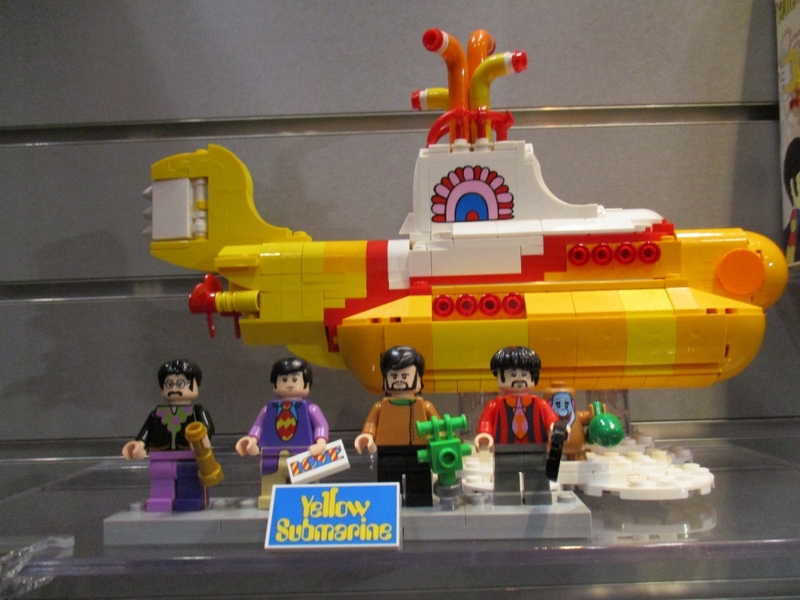 It includes the 4 Beatles minifigures and many cool detailed pieces. In the reviews, some adults bought it as a gift for a child but wound up keeping it for themselves. 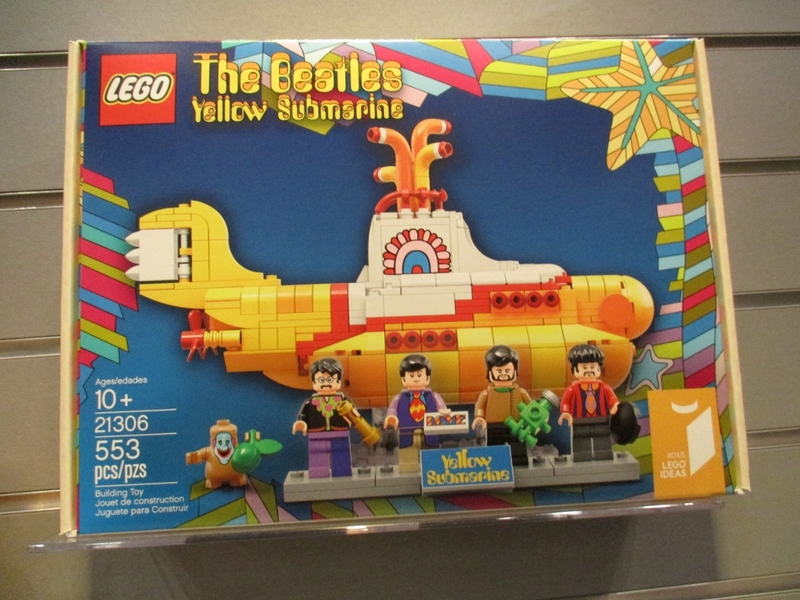 I can picture a bunch of grandparents playing their favorite Beatles music and having a blast putting this together. 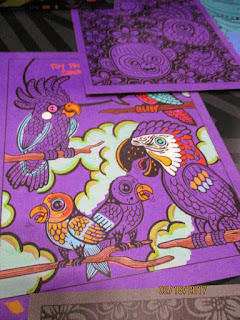 It also can be a great group project for an older grandchild sleepover. Now I can’t get that music out of my head….. Many of these items are not available yet, but here are the Amazon links for those that are available and some that are in the same line and are available. I bet you did do a lot of walking. Looks like some good toys on the way. I think anything Crayola, Play-Doh, or LEGO are almost always great choices. 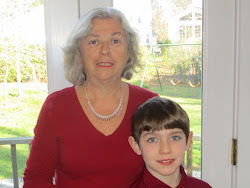 Thank you Marion for sharing this post at the #WednesdayAIM #LinkUp #BlogParty. I shared it on social media. The Tray Haven Is an Answer to the "Uh-Ohs"